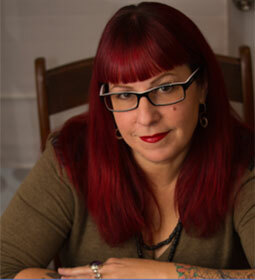 Monica Bodirsky is a Canadian tarot artist, published author, and educator with over forty years of experience. She designs and creates creative tools for self-awareness that connect the physical and spiritual realms. 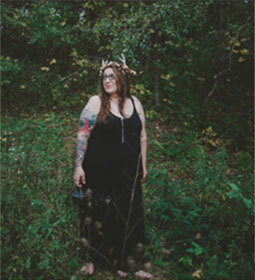 She is also the founder and director of the Witchfest North Fesitval in Toronto. In this class we will take a look at divination systems that share a story of the human experience through art, symbolism and storytelling. After a brief introductory lecture on how allegory is used, how to interpret archetypal symbols, and learning how to build narrative, we will follow up with an exercise that will help you read Tarot and Lenormand cards successfully. Tonya has been empathic all her life. She attended Transformational Arts College, Toronto, studying Spiritual Psychotherapy and Spiritual Directorship. Her spiritual practice is one of daily mediation and tarot. 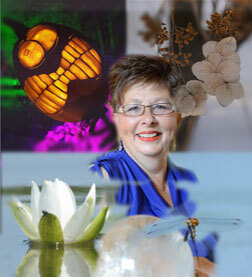 Corina Crysler is an Intuitive Astrologer and Practitioner of Elemental Wellness. She is the creator of Moon Medicine Readings – a form of functional medicine that combines Traditional Chinese Wisdom with Astrology. 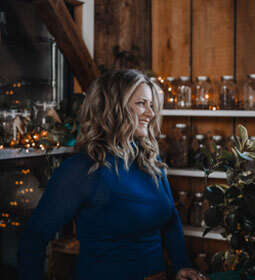 Her urban retreat The Moonshine Co, offers cold-pressed juices, herbs, crystals, ritual kits and more. Moon ritual (yin energy) is a practice about setting intentions and working with the waning and waxing cycles. Intentions create seeds that need to be nurtured with the magical combination of patience and work. The practice of working with the moon cycles is vital in understanding our desires and how we feel in our bodies. The moon controls our unconscious mind and our emotional being. When we understand how our moon sign may be influencing our lives, we can develop emotional wisdom and we become more aligned with our soul and body. As an Omolosha, Tata Nikisi, Bakunfula and medium, Paul assists people in living their best lives through casting and interpreting the Diloggun, the shells of the orisha Elegba. This African Deity helps put our feet on the correct path in life. 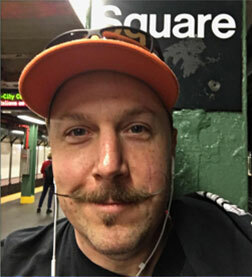 Paul will be offering readings at the festival. Lindsay Knight has been a Numerologist for over 25 years. Her work involves identifying Energetic Postures & where we store these files in our bodies. She is a Sound Vibration Practitioner and also focuses her energy on Past Life Mapping, Soul Contracts and Spiritual Contracts. Lori Lytle delivers mystical yet practical guidance as Inner Goddess Tarot. 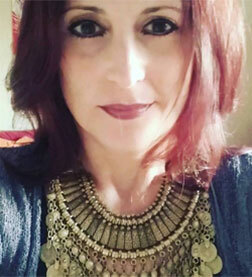 She uses Tarot, crystals, talismans and ritual to help you connect with your own Inner Goddess. 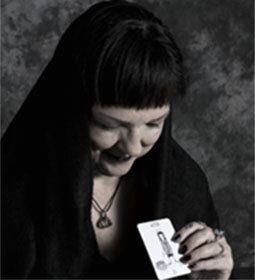 Lori teaches and reads Tarot internationally , and runs the popular Toronto Tarot Circle. 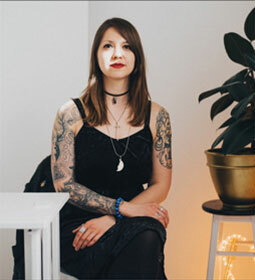 In this workshop you’ll explore amulets, talismans and lucky charms and how you can combine them with Tarot to create your own powerful tools of intention, manifestation and protection. Lori will guide you through a Tarot spread that will help you to get laser focus on an intention you wish to set, a dream you want to achieve, a goal you want to reach. Then, you will lock that intention into a gorgeous genuine gemstone and sterling silver pendant and create a practice that you can continue to use long after the workshop. Your fee includes the workshop, your gorgeous Herkimer diamond and sterling silver pendant on a beaded hematite chain, and instructions on how to work with it in future. Basic Tarot knowledge is recommended but beginners are welcome. 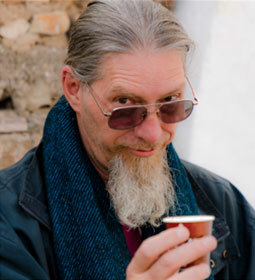 Andrew is an internationally acclaimed reader, medium, spirit worker, teacher, artist and proprietor of The Hermit’s Lamp. He has published several decks and books, most recently the Orisha Tarot deck based on his Orisha practice and study. The Hermit’s Lamp podcast focuses on living a spiritual life. Questions about love are probably the most asked in card reading. How to find love, hold on to it, or get over having lost it, brings up so many feelings and questions for us all. In this workshop, we will explore how to use tarot spreads, along with both psychological and predictive reading approaches, to help you and your clients navigate the heart’s mysteries. Please bring your cards and a notebook. There are many ways to read a crystal ball and we will learn a few techniques in this class that will help you tune into your innate psychic or intuitive abilities. Then we will scry a tarot, oracle or Lenormand card of your choice with a tumbled stone. Marilyn will have tumbled stones and spheres for you to borrow. This class will add to what we learned last year and will be a great class to get you started learning how to scry or discern crystals, cards, trees, or flowers. Bring your tarot, lenormand or oracle deck. My intention is to make MAGIC real. For everyone! Crystals, tarot cards and incense are tools that we can all use in the our everyday lives to bring peace and calm. See how you can bring magic into your life. Emma will be offering readings at the festival. 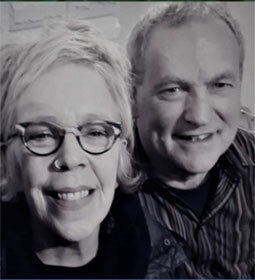 For over 31 years, Amy Taylor has been a Tea Enthusiast, Tea Leaf Reader and Certified THAC Tea Sommelier.She is the sole owner of The Art of Tea and Tasseomancy and Mystic Tearoom in Hamilton.She is also in the process of writing a book about the mystical aspects of tea. Tea is steeped in superstition, and reading fortunes with it hearkens back to days of the old divinatory art forms of the Shamans; interpreting symbols and formations made by random objects. Tasseomancy is the Art and Practice of divination by the interpretation of symbolic patterns made by tea leaves in a teacup. Join Amy Taylor (Owner of TaoTaT’s Mystic Tearoom) as she talks about how this form of divination came to be the Art it is today. 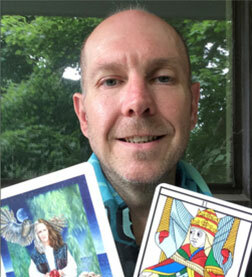 James is an evolutionary tarot consultant, circle process practitioner and Reiki teacher, dedicated to guiding individuals and groups to remember their innate wisdom, creativity, wholeness and purpose.He is the author of Tarot for Manifestation and Tarot Circle Encounters. The structure of a tarot deck — suits, numbers, and majors — can be used as a simple, effective treasure map to help you consciously create your life. Is there something specific that you’d like to create or improve? You can! Employ this powerful yet user-friendly process, rooted in the framework of the tarot, to see where you currently are with your goal, where you’d like it to be, and the concrete steps you need to take in order to get from here to there. In addition, you’ll discover your soul’s deeper, larger purpose for wanting to make this goal a reality. This workshop is exactly what you need, a life-long tool that empowers you to stop existing by default and start thriving by choice! Appropriate for ALL levels of tarot experience, from beginners to the well-seasoned. 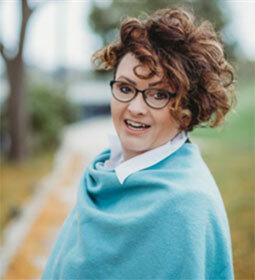 Liz Worth is a Toronto tarot reader, astrologer and author who believes that tarot can help us gain clarity and control over our lives.She is the author of Going Beyond the Little White Book: A Contemporary Guide to Tarot, and The Power of Tarot. Tarot cards are rich sources of symbolism that can help you connect to your intuition and find clarity, purpose, and meaning in everyday life. In this workshop, you will learn some traditional tarot reading techniques to help you connect with tarot’s images in simple but powerful ways. It is strongly recommended to bring a Rider-Waite-Smith deck for this class. Morgan-Greer, Sharman-Caselli, Universal, or other traditional decks are also suitable. Suitable for beginners, as well as anyone who wants to deepen their tarot practice.